This framework provides a compliant route to access modular buildings including offsite building solutions for purchase, hire and lease. Please see below for further details about the framework including the various benefits of using this NHS SBS framework to meet your requirements. when compared to purchasing solutions direct. The efficiency gains from modular and offsite manufactured solutions support the delivery of the government's construction and industry strategy targets, which include time and cost savings as well as whole life cost benefits and in use savings. This framework in turn provides a fully EU complaint route for Public Sector Organisations to procure all types of modular buildings. 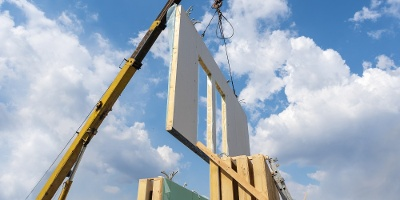 The framework has been awarded following a fair and open competition across the offsite construction and modular buildings market. The specification has been developed through thorough consultation with the market and experts in the field. Helping the NHS to save money and enhance quality so that the NHS can improve health, innovate to save lives and deliver better outcomes with care and compassion.